We will once again be celebrating the Greek day of Tsiknopempti on 16th February! 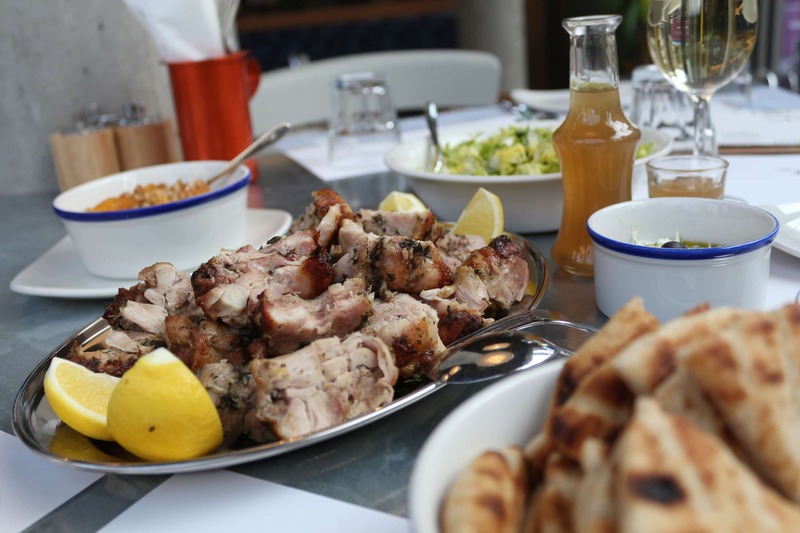 We’ll serve our spit-roasted ‘pay by the kilo’ souvlas for groups to share, with a selection of traditional sides. Tsiknopempti is the Thursday during Greek Mardi Gras marking the beginning of the last weekend that Greek Orthodox members can eat meat before fasting season. Traditionally, everyone heads out to feast on their favourite grilled meat dishes, eating as many different varieties as possible. This day is also known as ‘Grilled Thursday’ or ‘Feast of the Carnivores’! Here you can order meat by the kg served with a seasonal salad, selection of dips and warm Greek pita bread. All our meat comes from free-living animals including Cotswold White chicken, Blythburgh pork and Devon and Cornwall lamb.